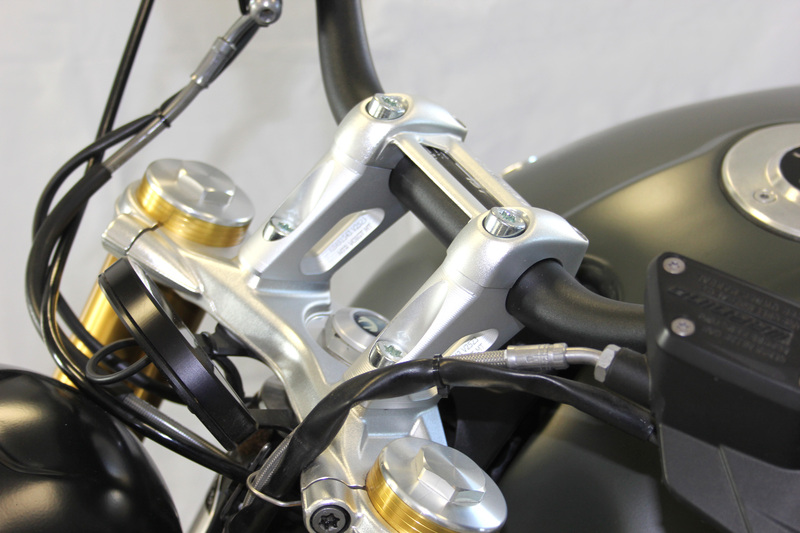 Raising the handlebar by 25mm results in a more upright, much more relaxed seating position. 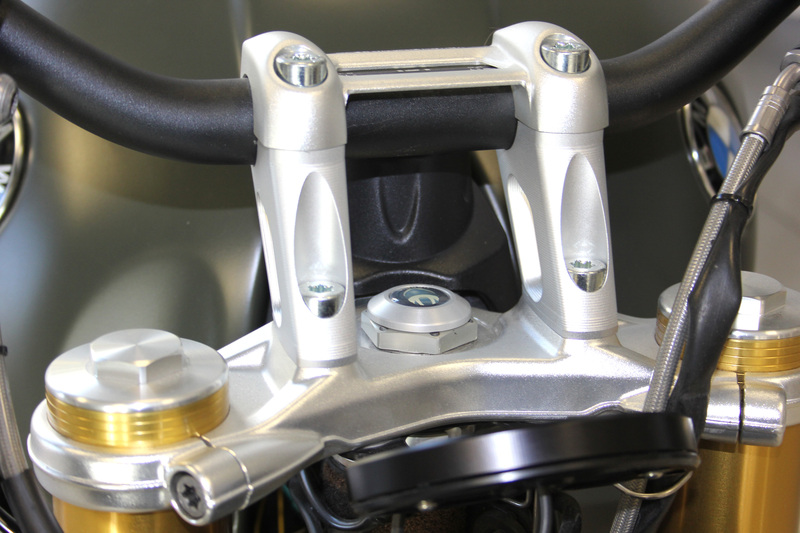 Moreover, the handlebar is brought 23mm closer to the rider which additionally improves driving comfort. The overall result is a noticeable increase in stamina and concentration. The length of the brake line etc. must be checked individually. Maybe you have to use a longer brake line etc. For BMW RnineT, RnineT Scrambler, Pure & Urban G/S. 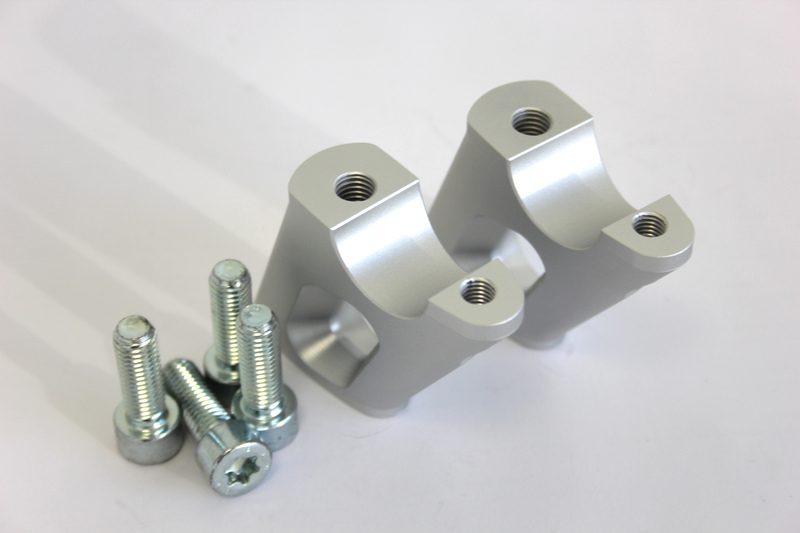 If you want to use the handlebar risers on a BMW RnineT Scrambler, you have to order the clutch line adapter (part no. 26872) as well! 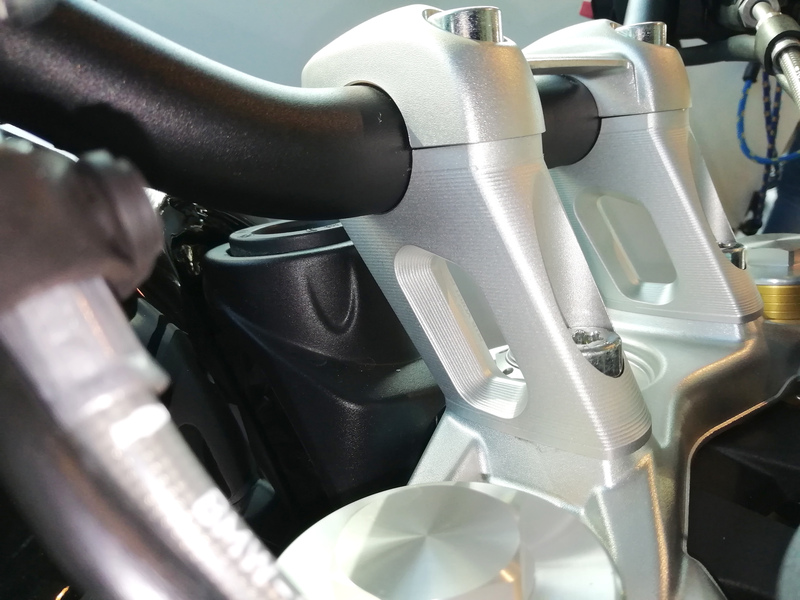 Does not fit for BMW RnineT Racer!